“During the long gubernatorial campaign this year, Governor Hassan consistently talked about the bi-partisan budget that was passed that included no taxes and fees. “Less than a week after ballots have been cast, we are now hearing about a proposal to tax canoes, kayaks and other non-motorized watercraft. “The “paddle tax” is not a solution for dealing with budget issues and should not even be considered. It will hurt tourism, be largely unenforceable, and raise little revenue. In Washington our political leaders can’t seem to agree on the time of day let alone on bipartisan legislation aimed at resolving the many problems facing our country. In Concord, such is not the case. We have one of the most honest and truly bipartisan state budgets in a long time — sans smoke and mirrors. A bipartisan solution was found to avoid a potential $400 million hit to state coffers over a Medical Enhancement Tax lawsuit. And both parties were able to agree on a responsible way to offer health insurance to thousands of previously uninsured Granite Staters under the Affordable Care Act. So what’s the difference, you ask, between Congress and New Hampshire’s Legislature? There are many, but one difference is Jeb Bradley, who is running for re-election to the state Senate from District 3. Bradley has been around the political block enough times to know you don’t get anything done if you constantly pontificate and put ideology first. Just saying no is not a solution. It wasn’t when Bradley was in the U.S. House of Representatives and it hasn’t been since he began serving in the state Senate. It is a point made when we endorsed Bradley for state Senate in 2012: “In Congress and since, Bradley has served as a voice for common sense Granite Staters who value frugal yet productive government. “Working with the Republican majority in the state Senate, Bradley helped temper some excesses of the overly aggressive House, led by Speaker Bill O’Brien. This allowed middle ground to be found on some issues such as pension reform for state employees. In other cases, to include the House effort to deregulate guns, the Senate was able to stop myriad bills dead in their tracks. “Bradley is someone who chose not to take the veto-proof majority in the Senate and abuse it. He is someone who understands the need to work across the aisle.” The betting this time around is that the GOP will again control both the House and Senate, perhaps by strong enough majorities to hold similar sway. This makes it that much more important for level-headed leaders — like Bradley — to continue to guide the Senate and temper excesses regardless of who holds sway in either chamber. For those who have followed our editorial endorsements over the years, you may recall a re-occurring theme — be comfortable in your own skin. It refers to someone who knows who they are, what they stand for and how to go about accomplishing their goals in an orderly fashion. Over the many years of following state politics and the goings-on in Concord, we have seen only a relative handful of such leaders. Some have become governors and some have gone on to serve in Washington. But few have returned to put their bounty of knowledge and expertise to work again on behalf of the Granite State and its people as has Bradley As a result, we are urging readers, in the strongest terms possible, to return Bradley to Concord and the state Senate. Senate District 3 is comprised of Albany, Bartlett, Brookfield, Chatham, Conway, Eaton, Effingham, Freedom, Hale’s Location, Hart’s Location, Jackson, Madison, Middleton, Milton, Moultonborough, Ossipee, Sandwich, Tamworth, Tuftonboro, Wakefield, Waterville Valley and Wolfeboro. 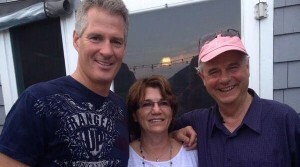 A Great Day on the campaign trail in Wolfeboro with our next US Senator, my good friend Scott Brown!. Senate Republican Majority Leader Jeb Bradley on Wednesday became the latest in a long line of “establishment Republicans” to endorsed Scott Brown for U.S. Senate, describing him on WGIR radio as a “ Live Free or Die type of guy” with strong New Hampshire ties. “I think that we need to bring voices like Scott Brown to Washington to protect taxpayers, to try to grow our economy and to solve our nation’s problems,” said the Wolfeboro Republican and former First District congressman. Bradley’s unscripted endorsement on the radio interview came a day after U.S. Sen. Kelly Ayotte, former Executive Councilor and Manchester Mayor Ray Wieczorek, and two former GOP governors endorsed Brown at a highly scripted event in Nashua. Brown doesn’t allude to his primary opponents on the stump, and has been talking like he is already running against incumbent Jeanne Shaheen. He declined an opportunity to debate Jim Rubens, Bob Smith and Karen Testerman at a Merrimack Town Hall event on June 18, and may not share the same stage in a face-to-face debate with his rivals until the September session mentioned above. It’s a far cry from the Republican primary for U.S. Senate in 2010, when Kelly Ayotte, Bill Binnie, Ovide Lamontagne and Jim Bender seemed to debate almost every week. Brown has accepted an invitation for a primary June 20 candidate forum on WMUR’s CloseUp, according to Communications Director Elizabeth Guyton. CONCORD — House and Senate negotiators agreed on a bill that would have state utility regulators determine if Public Service of New Hampshire should sell its fossil-fuel generating plants and establishes new criteria for approving wind turbine projects. Under House Bill 1602, the Public Utilities Commission would determine if PSNH should divest, modify or retire its generating facilities, submitting a progress report to the Legislative Oversight Committee on Electric Utility Restructuring by March 31, 2015. The electric utility would be allowed to recover its stranded costs due to the divestiture or retirement under the bill. Several House members were concerned the Senate version of the bill does not include the retirement of the plants under the PUC’s authority, and Senate Majority Leader Jeb Bradley, R-Wolfeboro, said retirement would drive up the stranded costs PSNH would be allowed to charge ratepayers. If the plants are sold, stranded costs would be less, he said. Ann Ross, PUC general counsel, said the commission has other tools to pressure PSNH to retire generating assets, noting they have to be “used and useful” in order to charge ratepayers for their operation. House negotiator Bob Backus, D-Manchester, asked if the commission would use the tool to force retirement if a facility is not longer economically viable. Ross noted the commission is currently determining how much of the cost of the Merrimack Station air emissions scrubber consumers will have to pay. The bill also establishes new guidelines for siting wind energy systems, including setback requirements, noise, shadow flicker, ice throw, sound, impacts on plants and wildlife, fire protection and decommissioning costs. Negotiators decided to eliminate from the criteria the impact of turbine vibrations. Bradley said there had been a lot of discussion about what vibration impact is and if experts exist to measure their impact on neighborhoods. “Low frequency sound is covered and is measurable and is currently being done,” Bradley said. House member Rep. Laurence Rappaport, R-Colebrook, noted low-frequencies cannot be heard but do have an impact on people, saying that should be one of the criteria. Applicants would also be required to use the best practices of the industry going forward. Lawmakers have revamped the Site Evaluation Committee and the process its uses to determine whether to approve applicants over the last two years. The committee was inundated with wind turbine projects and is about to embark on the Northern Pass electric transmission project once it receives the federal okay. HB 1602 deals with wind projects before the Site Evaluation Committee. The House and Senate will have to vote on the compromise next week. “Sen. Jeb Bradley, a Wolfeboro Republican who also sat on the committee of conference, said it is important to protect residents who live in close proximity to wind turbines from the negative aspects, such as shadow flicker, noise and decline in property values. He said wind developers in the state need to do a better job of mitigating those factors.” Read the full article here. Helps shift cost of rescues to people who mostly need them. CONWAY — More than a year after it was first proposed, lawmakers in Concord are moving forward on a voluntary hiker safety card designed to offset the cost of rescues. House Bill 256, which was proposed and spearheaded by Mount Washington Valley legislators, would create a $25 card hikers can buy to reduce their liability for the cost of a rescue should they need one. The bill made it through the senate last week and now goes back to the house for final approval. Then it will go to the governor to become law, all of which local lawmakers are confident will happen. Chandler proposed the bill in an effort to get hikers to help shoulder the cost of funding the Department of Fish and Game’s rescue fund. Fish and Game is the agency tasked with conducting searches and rescues in New Hampshire. Currently the rescue fund generates money through the sale of hunting and fishing licenses and ATV and snowmobile registrations. Hikers, meanwhile, comprise the bulk of the rescues in the state, particularly some of the more high profile and expensive ones. Many sportsmen, including Chandler, have long held that the funding mechanism as it now exists unfairly burdens them, while hikers get the service for free. Over the years there have been various efforts to solve the problem, from charging for rescues to tacking a fee onto overnight stays at high mountain huts, but each attempt has encountered resistance. State law currently allows Fish and Game to charge hikers deemed reckless or negligent who needs a rescue the cost of finding or extracting them, but often times that raises the ire of the volunteer groups who work alongside conservation officers. This new card, however, could be a way to help fill the coffers of Fish and Game without provoking a backlash. “The hiker safety card is voluntary, voluntary, voluntary,” said Sen. Jeb Bradley (R–Wolfeboro), an avid hiker and co-sponsor of HB 256. No one will be forced to buy it, but those who do will be supporting local rescues and giving themselves an additional layer of protection should they ever find themselves out in the woods needing help. New Hampshire law used to allow Fish and Game to charge people for their rescues if they were deemed reckless, but that standard was raised to “negligence” several years later. “It’s tougher to prove recklessness,” Bradley said, so those who get the card will have an added layer of protection. When the idea of the hiker card was first proposed, Bradley said, it included provisions to charge everyone who was rescued some portion of the expense of their rescue, but that was eventually stripped from the bill. As it is, unless 10,000 people decide to buy the cards there are still going to be challenges filling the rescue fund coffers. “There are big issues that Fish and Game faces,” he said. Chandler made similar remarks. He’s hoping several thousand people will buy the voluntary hiker safety card, but “even if it’s wildly successful it will not solve the problem,” he said. And at this point, with no precedent in New Hampshire for such a card, it’s unclear how many people will pick one up. “It’s never been done or tried here,” Chandler said, so “we don’t know” how much revenue it will raise. Bradley said he wants to see the cards available in the local outdoor stores, not just sold online, so people can get their hands on them easily. RYE — Despite technological advancements that allow people to instantaneously connect with someone on the other side of the globe, officials fear not enough has been done to ensure locals can actually take advantage of the gadgets at their fingertips — particularly during emergencies. A number of Seacoast communities struggle with cell-phone reception, particularly in low-lying beach areas and on days with a heavy load on the local network. — Adds to or modifies a camouflaged PWSF in a way that would defeat the effect of the camouflage. Rye police Chief Kevin Walsh said his department and others would have “no way” of getting services to an individual in those areas if reception issues prevented calls from going out. Walsh said cell phones are the “first thing” people reach for when they need emergency services and more needs to be done to prevent the devices from being rendered useless. A new law, RSA 12-K, seeks to overcome this issue by no longer requiring individuals to obtain variances from municipal land-use boards or to appear at a public hearing before they add new antenna arrays to existing structures or enhance existing cell towers. Over the years, a number of municipal, business and public safety officials throughout the Seacoast have used terms like “spotty” and “terrible” to describe the reliability of systems along the coast. While they recognize RSA 12-K as a way to change that, many of those same individuals have reservations about the fact that the efforts will come at the expense of local towns’ oversight. RSA 12-K, introduced as Senate Bill 101 last year and signed into law in September, is designed to enhance the state’s wireless communications by reducing the time and steps required to receive approval for attaching new equipment to existing towers, mounts, electrical transmission towers, water towers and buildings. The law ties in with the goals of the National Broadband Plan. Any applicant seeking to add onto these structures and buildings now no longer needs variances as long as they have permission from the owner of the property and don’t exceed the law’s “substantial modification” clauses, which dictate limits to changes in height, configuration and construction. Hampton and its Zoning Board of Adjustment found this out recently after receiving an application that sought to add 12 multi-band panel antennas to the top of a newly constructed condominium building in the heart of Hampton Beach. The board was set to make a decision on the proposal last month, though members granted the applicant permission to withdraw the application because Hampton discovered it no longer had jurisdiction over the matter. This didn’t sit well with board members. Stratham Town Planner Lincoln Daley said the law doesn’t give all cell tower proposals “carte blanche” approval, though. Towns and cities still have the ability to make sure the erection of new towers and replacement towers comply with local ordinances, as well as solicit input from the public on such matters. A cell tower currently before the town of Stratham falls under this category, as it seeks to completely replace an existing freestanding monopole, Daley said. Paul Sanderson, staff attorney for the New Hampshire Municipal Association, said the modified rules will “surely” lead to issues for municipalities as they learn the ins and outs of the new law, particularly because he said the law stipulates projects “must be approved without local land-use board review” even if they “appear to violate conditions” imposed when the affected tower or mount was first reviewed. “It is possible that existing applications will have to be changed, time frames for review will change, existing fee structures will have to be changed, and land-use board members will have to be trained about why they will no longer be involved in the review of these matters,” Sanderson said. Another issue could stem from the fact that while applicants do have to seek a building permit for the work, the application is automatically deemed approved if the receiving municipality doesn’t issue a decision within 45 days. Daley described this as a new “shot clock” to speed up applications, while Hampton Building Inspector Kevin Schultz said he believes it essentially means applicants “just keep going” as long as they comply with the new law’s restrictions. “They don’t need me,” Schultz said. Sanderson said the law also raises a number of other questions. He said there are no provisions that allow for an extension for the building permit deadline if a municipality’s building inspector needs to seek input from outside experts about whether the new equipment could affect the structural integrity of the existing structure or its electrical system. Some municipalities seek building permit reviews from the state fire marshal’s office because they haven’t adopted their own permit enforcement process, and Sanderson said there is no deadline extension provision in RSA 12-K for this type of review. Wireless communications applicants also used to be able to seek an appeal through the town’s appeals process, though the new law states this type of review is only available at the superior court level. Sanderson said the new law doesn’t state how many days a “person aggrieved” by a local-level decision — whether an applicant or anyone else with what he described as a “legally protected interest in the decision” — would have to take action in superior court, though. “There are practical difficulties, which will arise under this scheme, and there are no clear answers as yet to guide resolution of these issues,” he said. Daley described the law as an “interesting change.” Because it hasn’t yet affected his town, which has seen strong public opposition during hearings on the majority of its cell tower proposals, he said it’s “unclear” whether it would truly benefit local governments to allow certain applicants to skip the site plan approval process. “It’s a dramatically different scenario than what we’re used to as a town,” Daley said. The New Hampshire Senate approved a hike safety card yesterday in a move supporters hope will revive the state’s search-and-rescue fund that for years has operated at a deficit. Now the bill heads to the governor’s office, where it needs the final sign-off before the Fish and Game Department can begin selling the voluntary cards. Hikers who purchase the safety card for an annual fee of $25 per individual and $35 for a family will not be billed if they need to be rescued, even if the Fish and Game Department determines that the hikers acted negligently. All but $3 of the card sales will be funneled into the department’s search-and-rescue fund that covers missions ranging from searches for lost hikers to dives for drowning victims. People who already purchase hunting and fishing licenses or OHRV, snowmobile or boat registrations are exempt, because $1 of those fees already go into the search-and-rescue fund. Search and rescue has become increasingly expensive, said Sen. Lou D’Allesandro, a Manchester Democrat. And as sales of licenses and registrations have plateaued, the fund isn’t keeping up with the growing expense. In years past, the fund has operated at a deficit, at times running more than $200,000 over the roughly $140,000 budget, Normandeau said. When that happens, Fish and Game has to dip into its general fund to make up the difference. Since the search-and-rescue fund is negative virtually every year, it adds up to a steady drag on the general fund. Between 2006 and 2012, Fish and Game conducted roughly 957 search-and-rescue missions at a cost of almost $1.8 million. According to the department, climbers and hikers use more than half of the search-and-rescue services, followed by hunters, anglers, boaters, snowmobilers and ATV riders, which use roughly 14 percent of the services combined. Since each rescue operation is different, the cost varies widely and can run anywhere between $100 and $50,000 per mission, Normandeau said. In recent years, the department has spent an average of $360,000 annually on the operations. And the rescue costs have been increasing steadily each year simply because more people are out there, Normandeau said. To help Fish and Game recoup some of those expenses, in 2008 the Legislature passed a law allowing the department to seek reimbursement from hikers who need a rescue if it determines they acted negligently. But even recouping those billing costs has been difficult, said Sen. Jeb Bradley, a Wolfeboro Republican. “The whole thing is just a nightmare,” Normandeau said. Now, negligent hikers with the card in hand would avoid the possibility of footing an expensive rescue bill, and the card will get hikers to contribute to the fund where they haven’t in the past. John Bigl, a Milford resident who organizes outings for a New England Hikers meet-up, said he doesn’t mind paying $25 for the card to offset search-and-rescue costs. He, his wife and the group have talked about the card at their weekly hikes. But, he said, it seems like the card is geared toward hikers who are prepared as opposed to those who are negligent, he said. Bigl’s group isn’t the only one discussing the card; topic threads have popped up on hiking websites, ranging from New Hampshire mountaineering Facebook groups to Vermont hiking forums. Since the cards are voluntary, the department can’t predict how much revenue they will generate. “It will hopefully, over time, make some kind of significant contribution to the fund,” Normandeau said.